The response to the jazz titles released in Series One has been overwhelming. 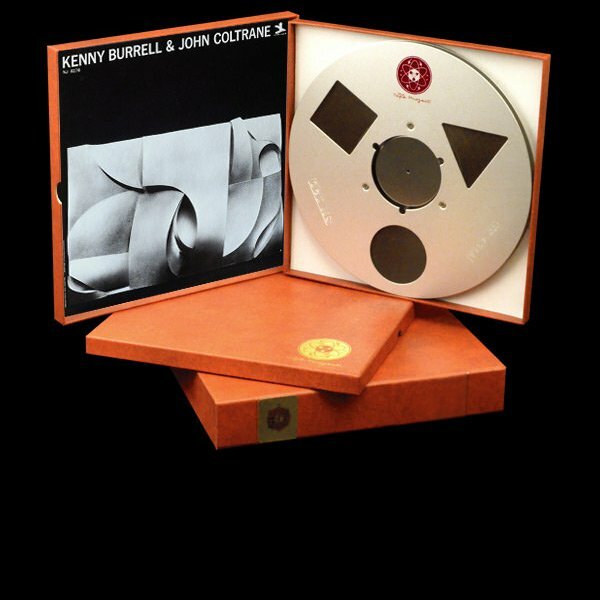 And so we continue to present monumental jazz recordings in this second series for The Tape Project. A conspiracy of jazz giants, Burrell and Coltrane appear together in Coltrane’s only duo album with a guitarist. The rest of the personnel are equal to the task – pianist Tommy Flanagan (the same Mr. Flanagan you hear on Saxophone Colossus), bassist Paul Chambers and drummer Jimmy Cobb (both borrowed for this session from Miles Davis’ Sextet). Hard-bop, bebop and a blowing session are all delivered in this tasty Prestige release, recorded by Rudy Van Gelder in March of 1958.